The question is, er, why? 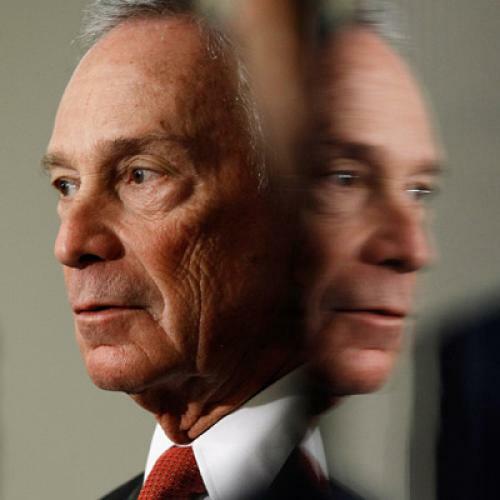 Though Bloomberg-ology is an intense preoccupation among the elite media—particularly the New York media—it’s far from clear that he commands many divisions beyond the outer boroughs. If that. I’d guess most of the country, to the extent they have any views on him at all, think of him as a billionaire Wall Street alumnus whose riches had more than a little to do with his political success—not exactly the profile of someone who can help you carry Ohio. (Or even, for that matter, northern Virginia, where voters are theoretically more sympathetic to Bloomberg’s mix of fiscal conservatism and liberal social views.) In fact, this PPP poll from August put Bloomberg’s national favorable/unfavorable ratings at 22/38. If this is what passes for a kingmaker, then royalty really has lost its cachet. The Times turns to New York political consultant Hank Sheinkopf to crack the code: “If you want to have friends in the financial sector and you want to shape public opinion in the business capital of the world, then the guy you turn to, the imprimatur you want, is that of Michael R. Bloomberg.” But given the deep-seated antipathy toward Obama on Wall Street, it’s hard to see Bloomberg’s endorsement helping him much there. And while it’s true that the business capital of the world—also known by the street name “Manhattan”—is the one place Bloomberg’s endorsement could actually move voters, Obama is, of course, going to win it overwhelmingly either way. So Sheinkopf turns out not to be so helpful. And yet given the intensity with which both sides are courting the mayor, there must be some logic to it. My guess is that it’s about Romney’s attempts to reclaim the center. If Romney were to land a smooch from Bloomberg, I doubt it would have much direct effect anywhere he has a chance to win. But it would buy him some favorable coverage from the elite media—suffice it to say that the Times would play it high—and the refracted glow could help him among certain upscale voters nationally. But even there, the effect would be pretty marginal. The fact is that mayors of big cities don’t tend to matter much in presidential politics, at least in states that are Electoral-College snoozers. Throw in the fact that this particular city is the hub of the most detested industry in the country and, well, let’s just say the efforts would be better spent courting the mayor of Dayton. Special thanks to twitter follower @Hesiod2K11, who weighed in with a smart take.